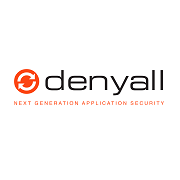 DenyAll's rWeb Web Application Firewall (WAF) and Web Services Firewall (WSF) relies on a HTTP/HTTPS reverse proxy architecture and provides Security (filter incoming Web traffic and block application-layer attacks), Authentication and Acceleration for Web applications and Web services. Complementing traditional network security solutions, DenyAll rWeb Web Application Firewalls (WAF) and Web Services Firewalls (WSF) relies on a HTTP/HTTPS reverse proxy architecture and provides Security (filter incoming Web traffic and block application-layer attacks), Authentication and Acceleration for Web applications and Web services. Our solution leverages close to 15 years of innovation and secures over 30 000 applications worldwide. Web Application Security: secures your web servers, applications and web services against well-known attacks (SQL injection, XSS, etc).